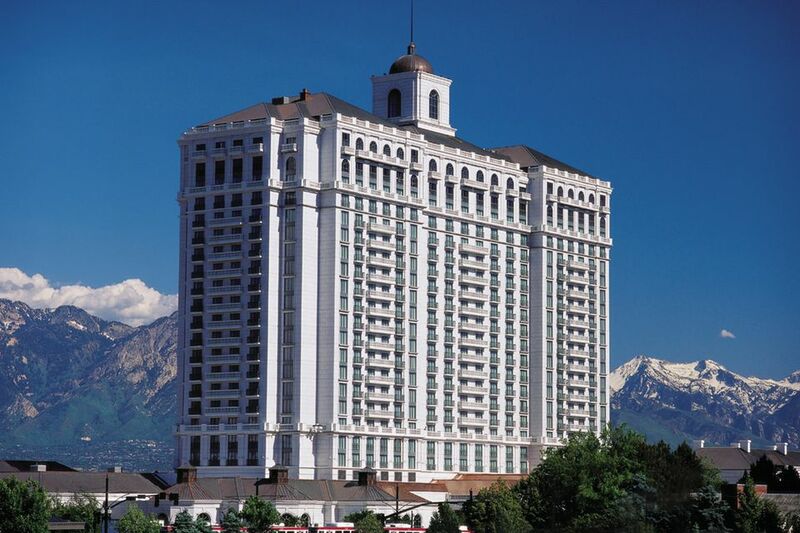 Salt Lake City is a surprisingly romantic city nestled in the mountains of Utah. If you're visiting SLC on Valentine's Day, kindle a romantic fire by taking your sweetheart to one of these events and attractions. From romantic restaurants featuring top chef specials to sleigh rides over the snow, there's plenty of great ways to spend a day with your loved one on this annual holiday of romanticism. However, be sure to make reservations ahead of time as many couples will be fighting for a date night at some of Salt Lake City's most popular romantic attractions. Any good restaurant can be the setting for romance, but a truly romantic restaurant offers a combination of wonderful food, striking decor, and great service. Utah's best chefs will also pull out all the stops to create scrumptious meals for Valentine's Day, with dining specials running from about February 8 through 17. There's a long list of some of Utah's best restaurants offering special menu items for Valentine's Day, and early reservations are recommended. A sleigh ride can be family fun or the height of romance, depending on whom you take along. After all, you will need to warm up afterward! Rides are available to match any interest, long or short, with or without dinner, some with overnight stays at the resort. Running February 8 through 23, 2019, Ballet West's performances of Swan Lake are a great way to spend an evening with your special someone this Valentine's Day. Performances take place at the Capitol Theatre and tickets start at $45 per person. On February 15-16, the Utah Symphony will perform My Fair Lady at Abravanel Hall in Salt Lake City. You and your valentine will enjoy Lerner and Loewe’s classic broadway, My Fair Lady. Expect gorgeous choreography, period costumes, and of course, a stunning score by the Utah Symphony. On February 14 and 15, 2019, enjoy a special evening with a live band and an exceptional dinner at the Thanksgiving Point Show Barn in Lehi, Utah. You can enjoy all the fun and food for $58 per person in advance (or $70 per person to get a rose at your seat). Doors open at 6 p.m. and dinner and dancing last from 7 to 10 p.m.
Join other couples at DF Dance Studio on Valentine's Day for a fun Salsa or Bachata dance class. After the class, the lights go down and the disco ball goes up so you can swing and sway with your significant other to the tunes of popular Latin music. The "Black and Red Valentines Salsa and Bachata Ball" takes place on February 8, 2019 with a special chocolate fountain and dancing until 1:30 a.m. On February 9, go to the couple's Sweethearts Dance, or take a bachata or salsa class on Valentine's Day itself. Larry H. Miller Megaplex Theaters throughout Utah will offer Valentine’s Day packages including dinner topped off with decadent desserts, followed by a movie, popcorn, and drinks with a chocolate gift for your sweetheart. The event takes place on Thursday, February 14, and check-ins start at 5:45 p.m. Tickets are $125 per couple. If you are looking for a romantic way to celebrate Valentine’s day, then don't miss the Salt Lake Symphony's annual Vienna Ball at the University of Utah's Union Ballroom. The event takes place on Saturday, February 9, 2019 at 8 p.m. Enjoy food, dancing, a silent auction, and live music provided by the Salt Lake Symphony at the only traditional Viennese Ball in Utah.